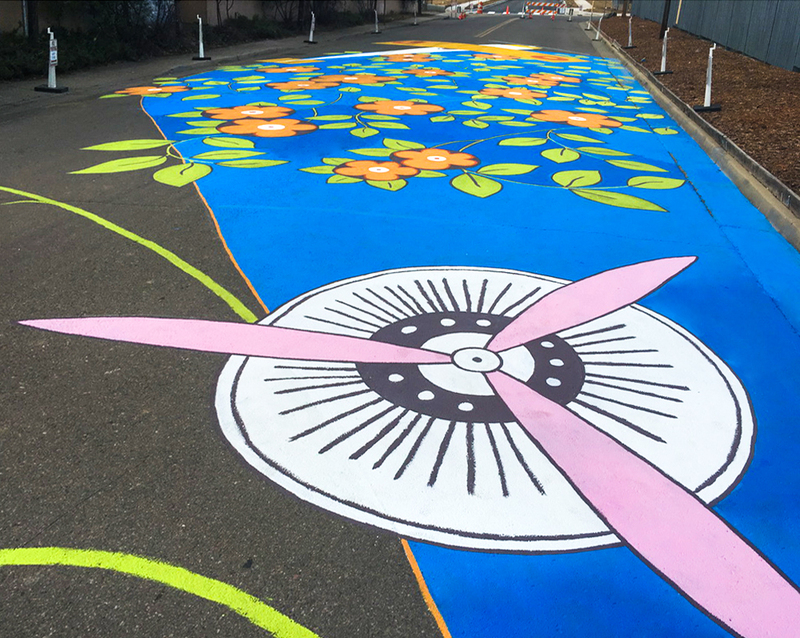 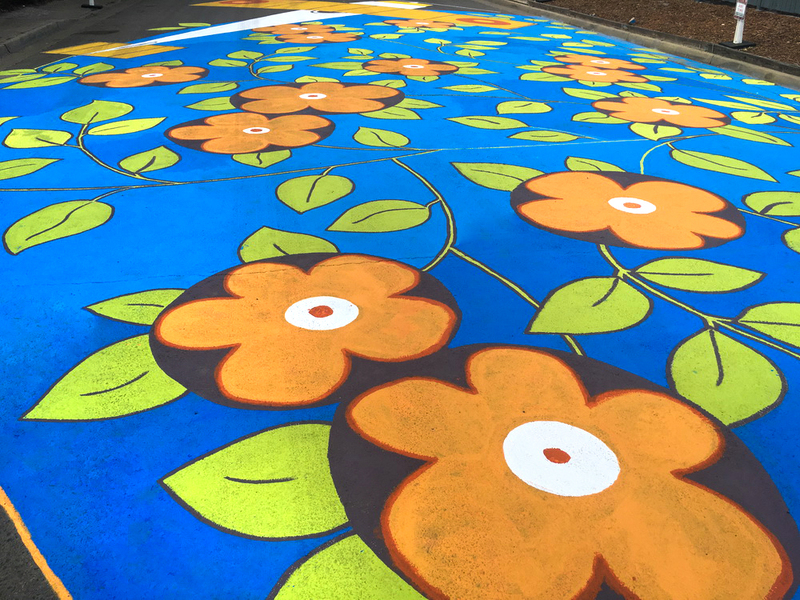 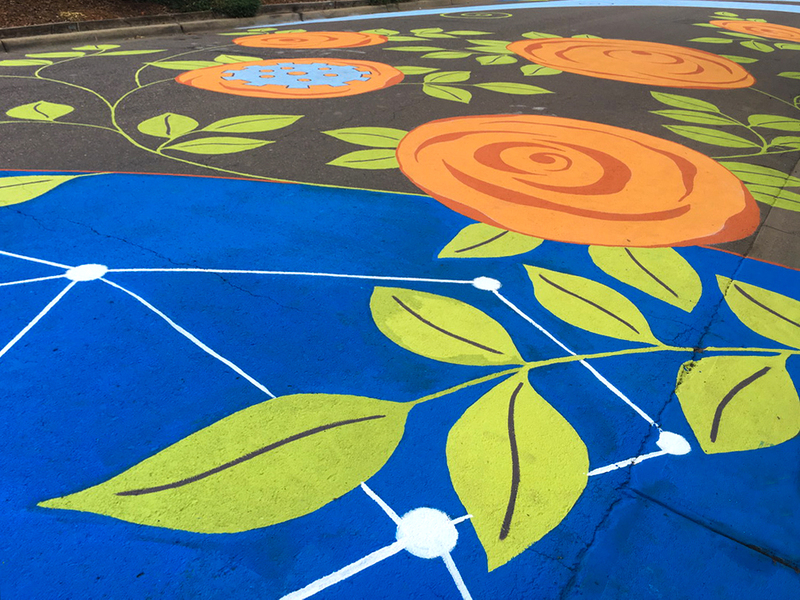 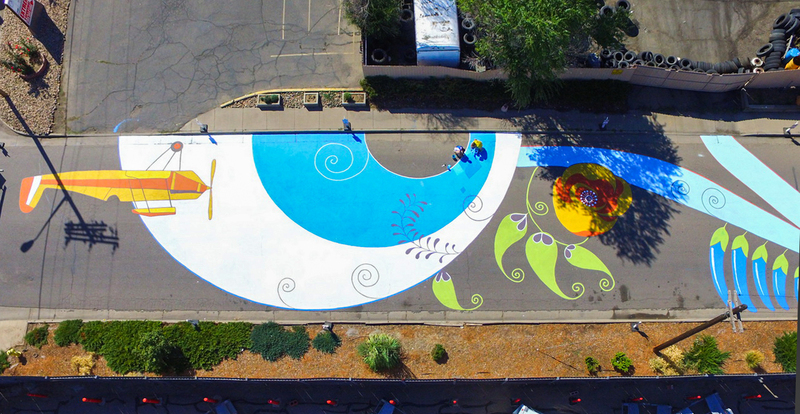 A mural was painted directly on the pavement of a street. 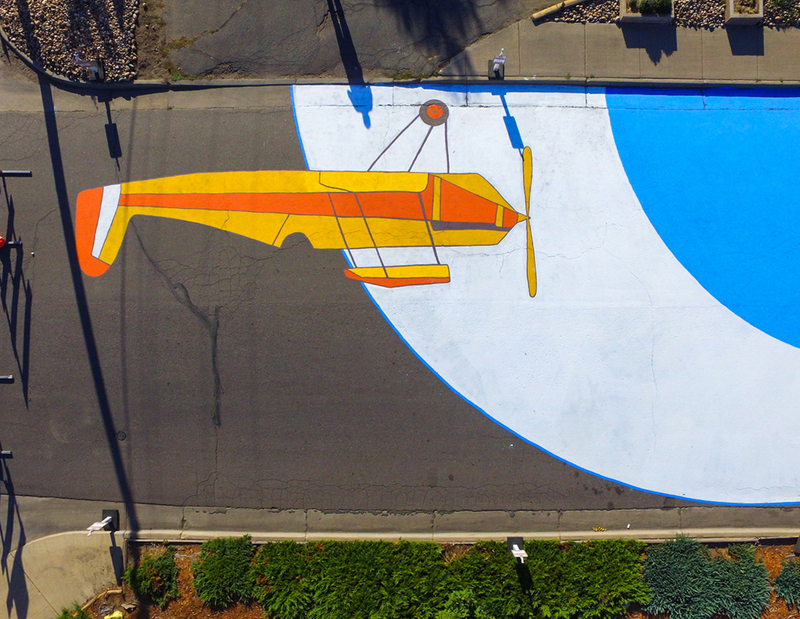 It was two amazing weekends of painting, 350 volunteers, 180 gallons of paint and tons of fun! 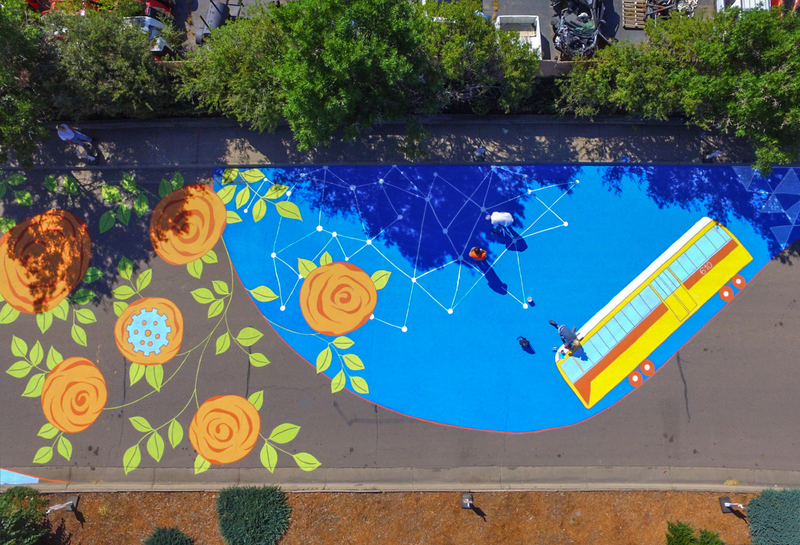 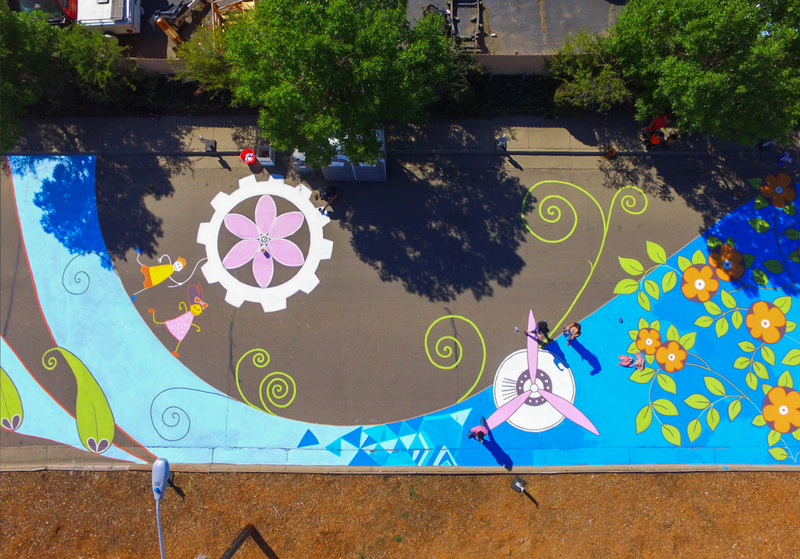 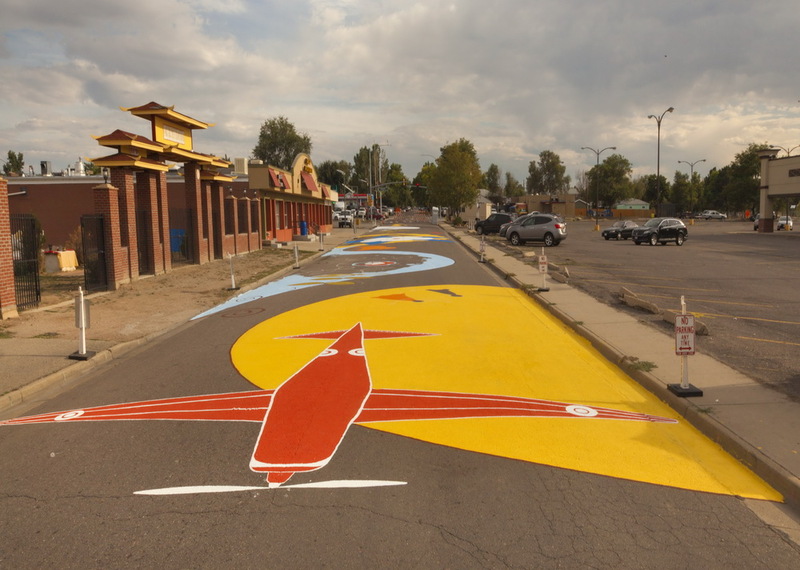 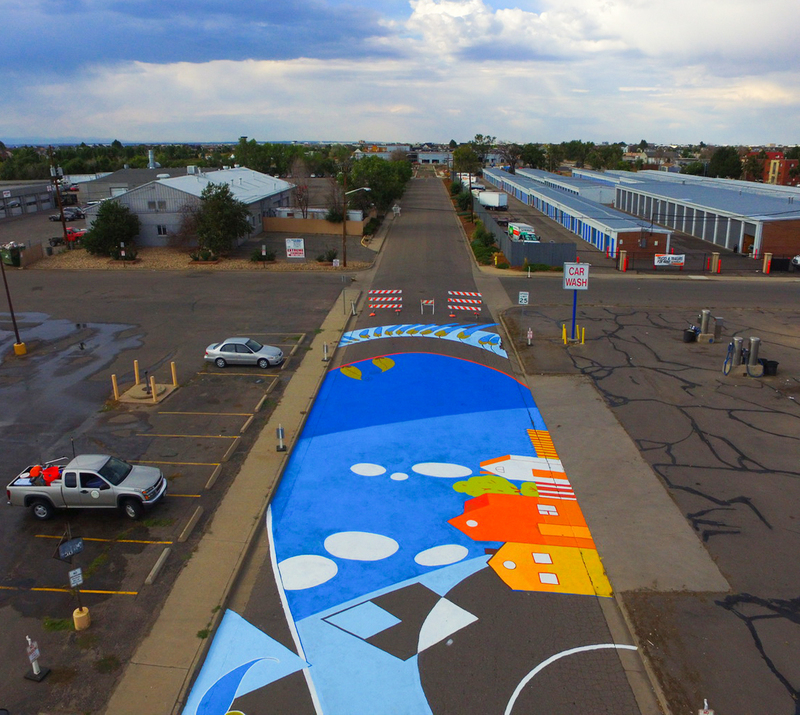 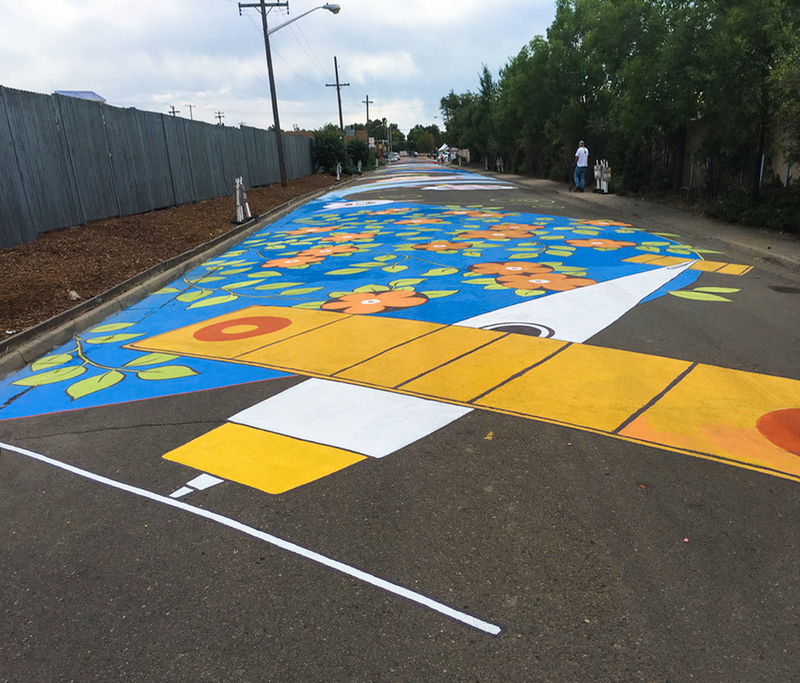 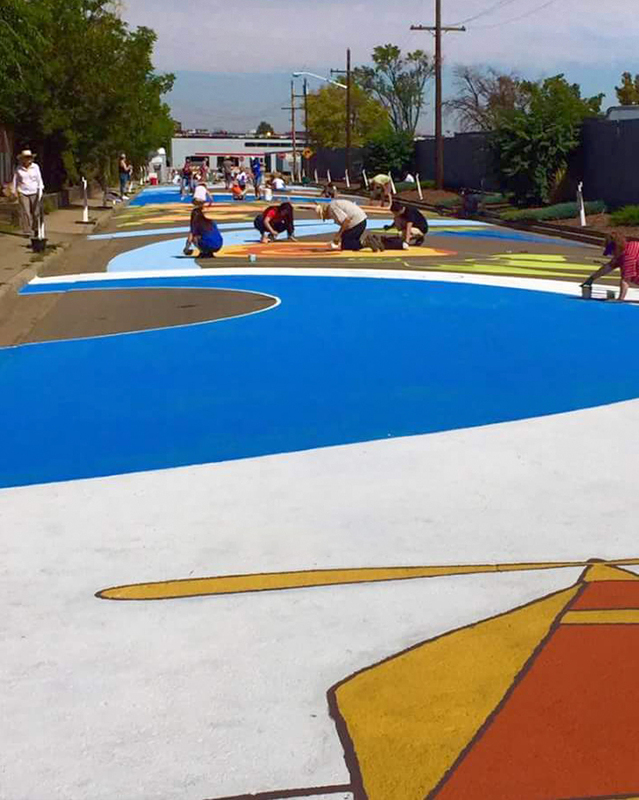 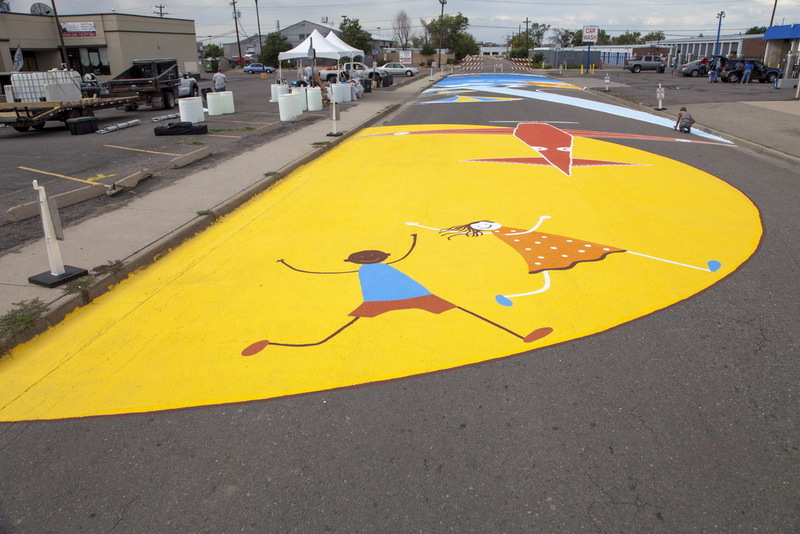 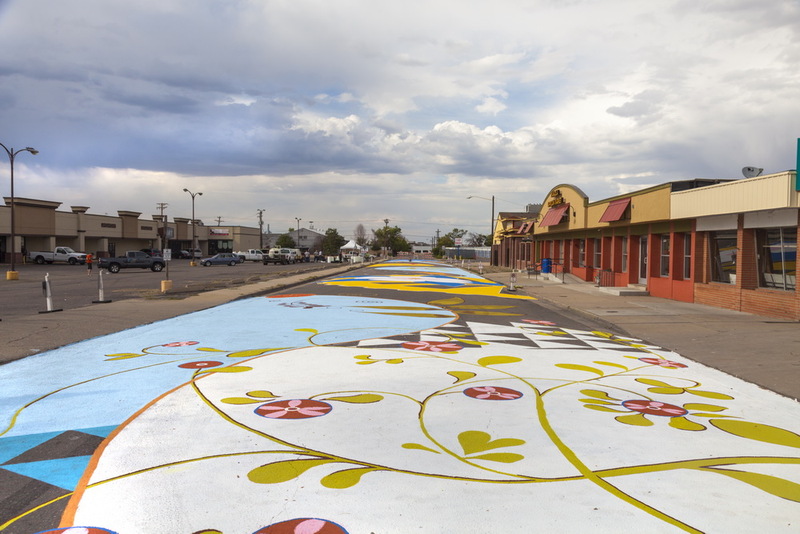 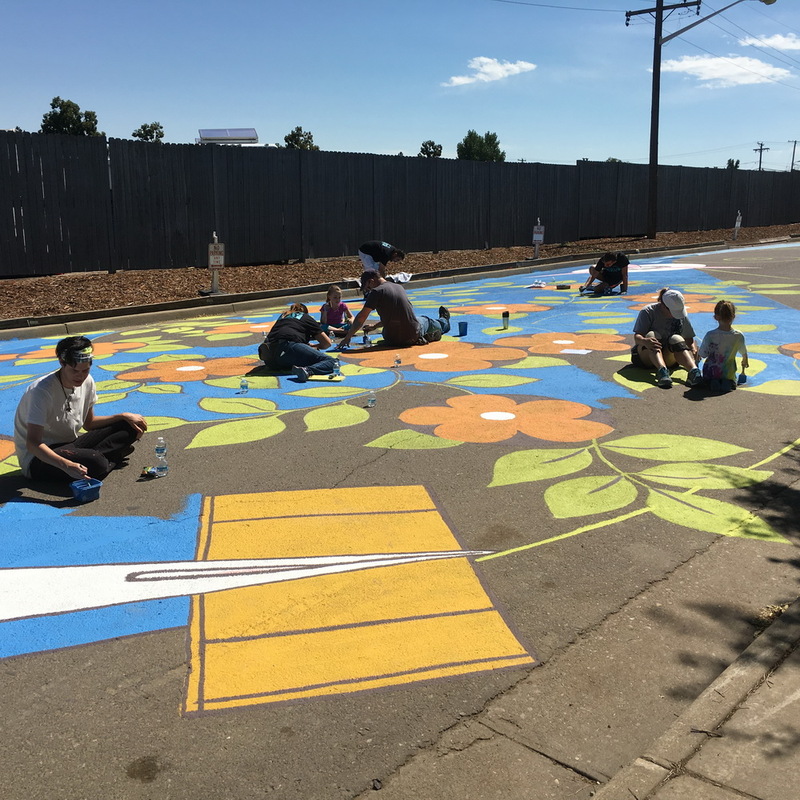 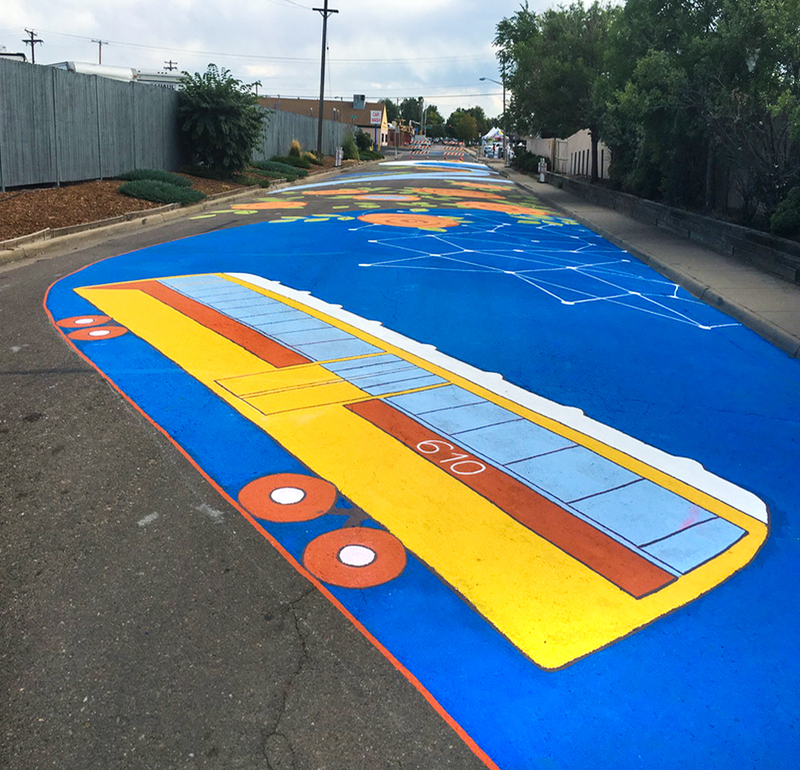 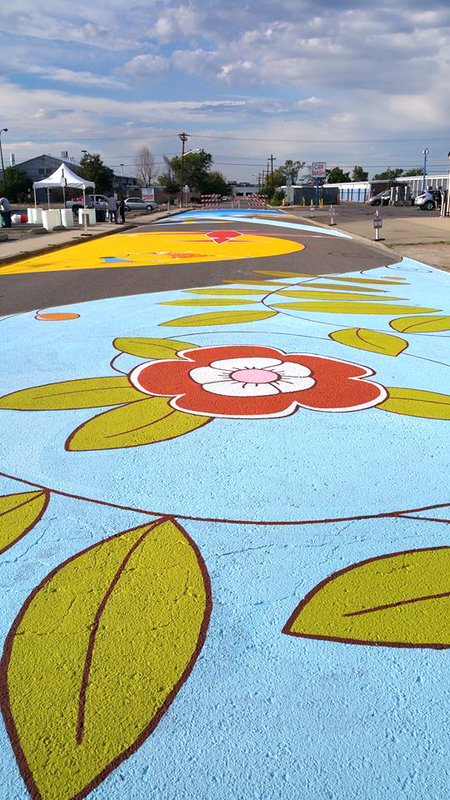 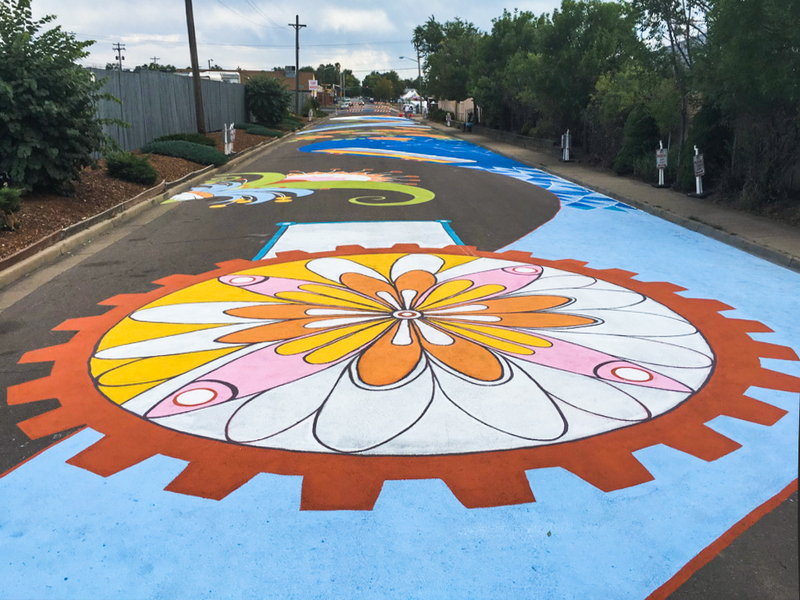 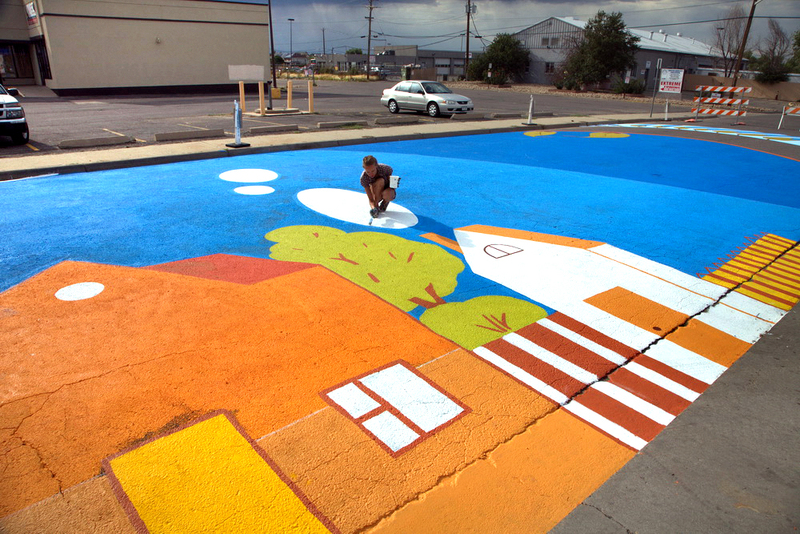 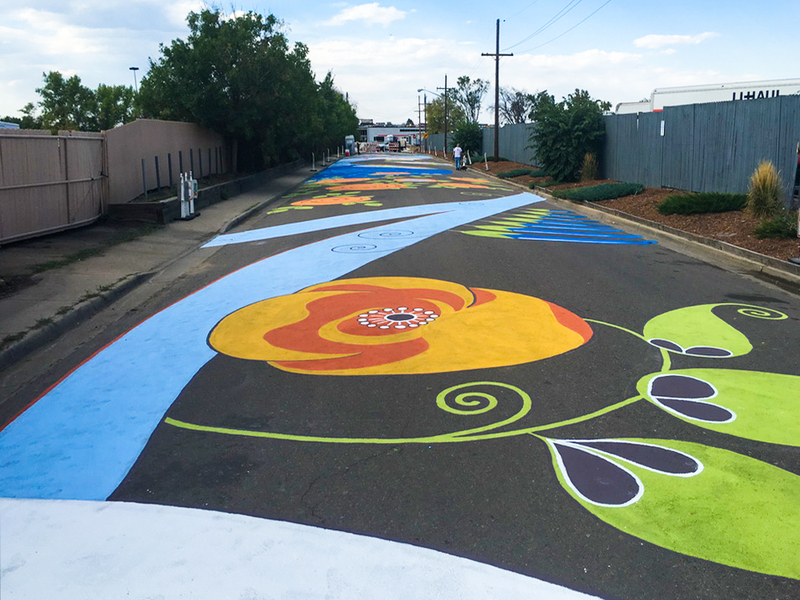 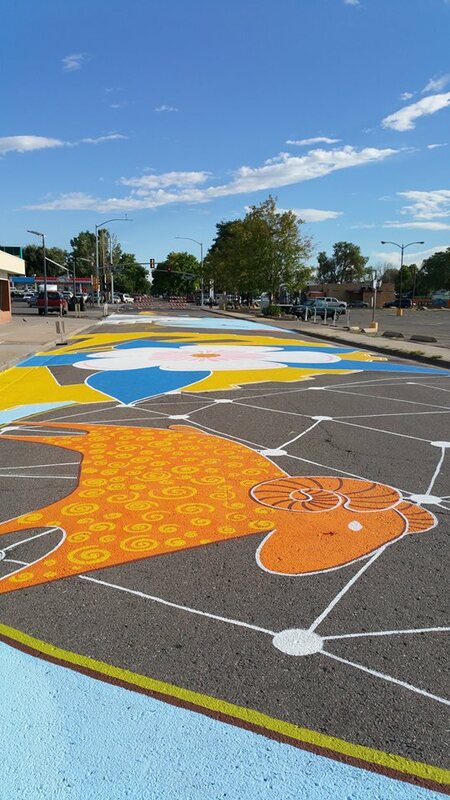 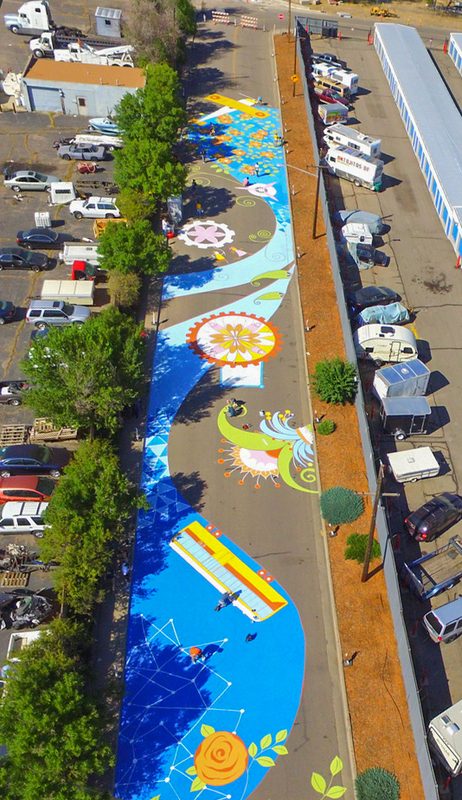 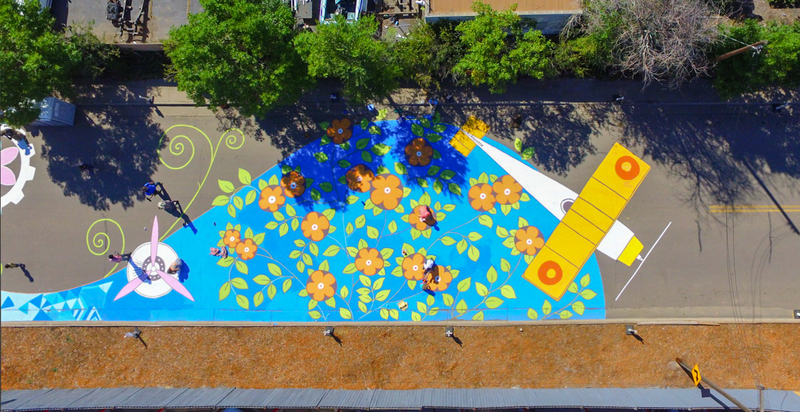 A two-block street mural is now one of the biggest murals in Colorado! 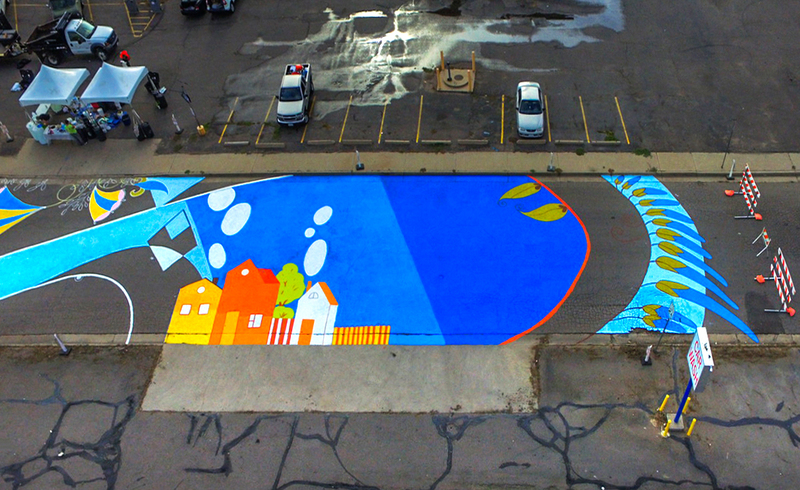 A video about a street mural in Aurora, Colorado. 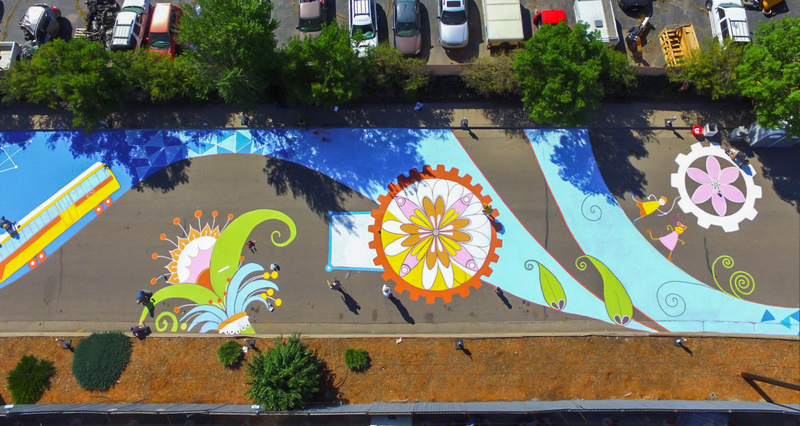 The street mural was painted during two weekends. 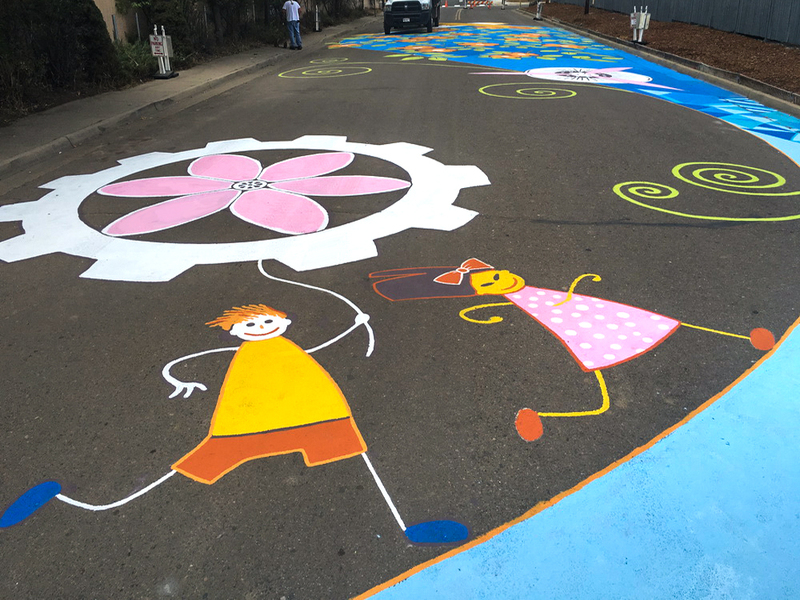 One block each weekend. 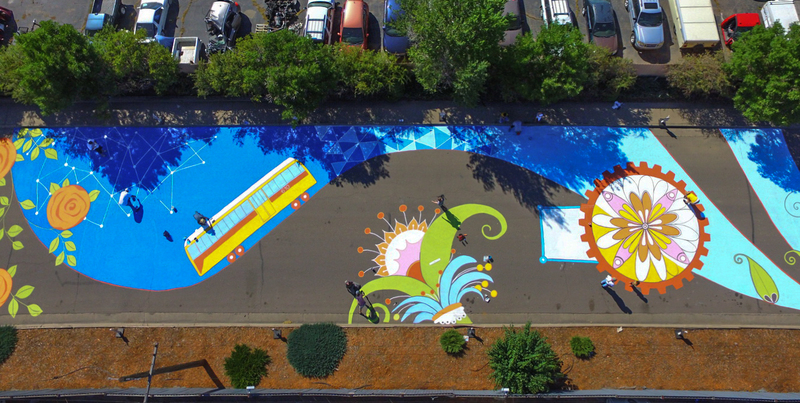 A view of a finished first block of the mural, the second block of Clinton street and Stanley Marketplace in the background. 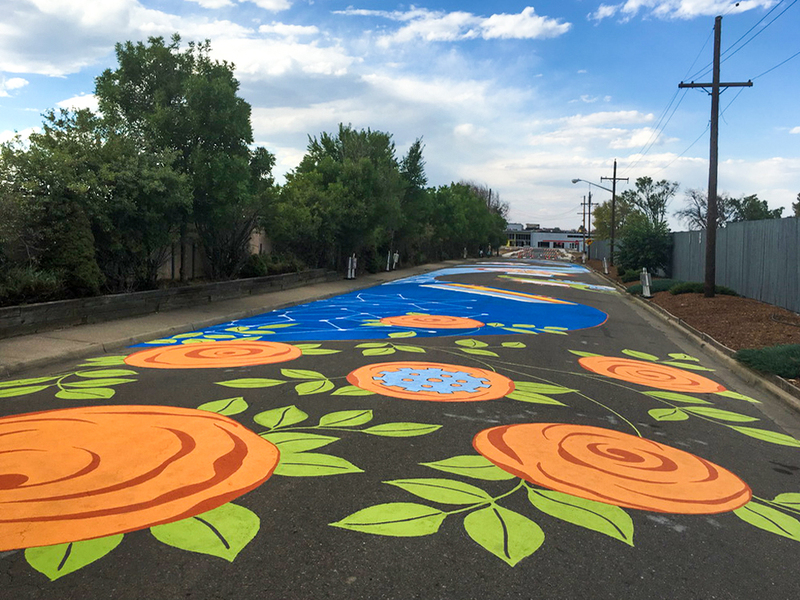 Roses, leaves and swirls blooming on the street. 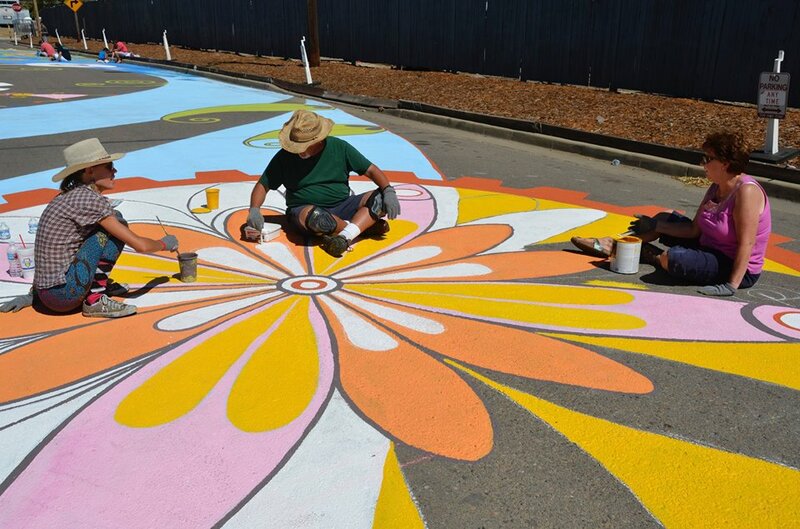 Cogwheels, flowers, bright colors, lots of smiles and fun. 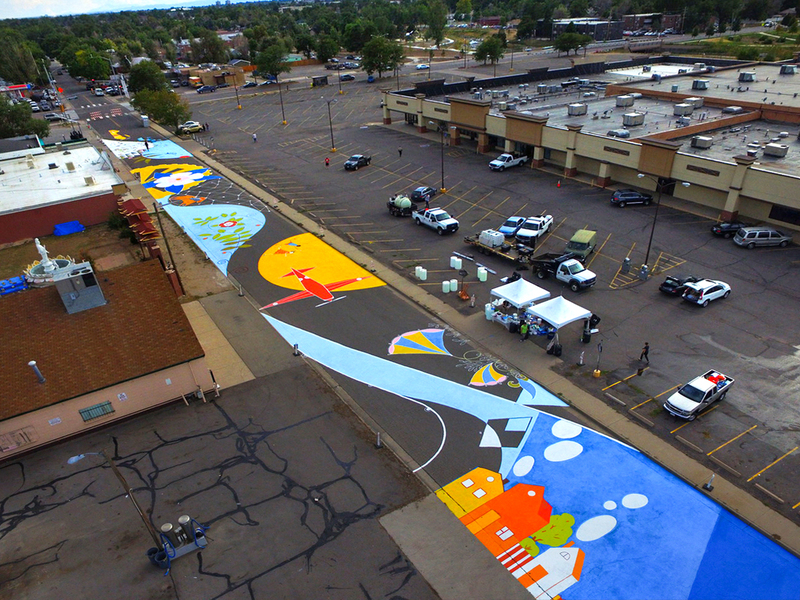 This mural was the first street mural in Aurora. 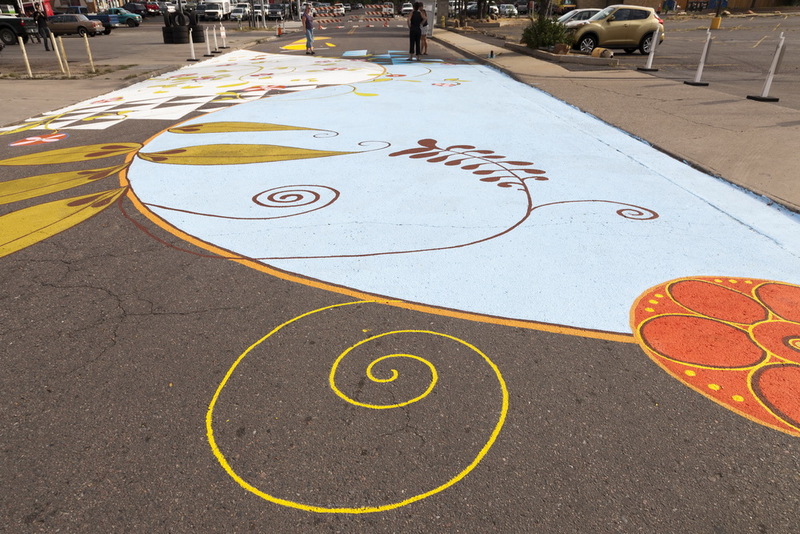 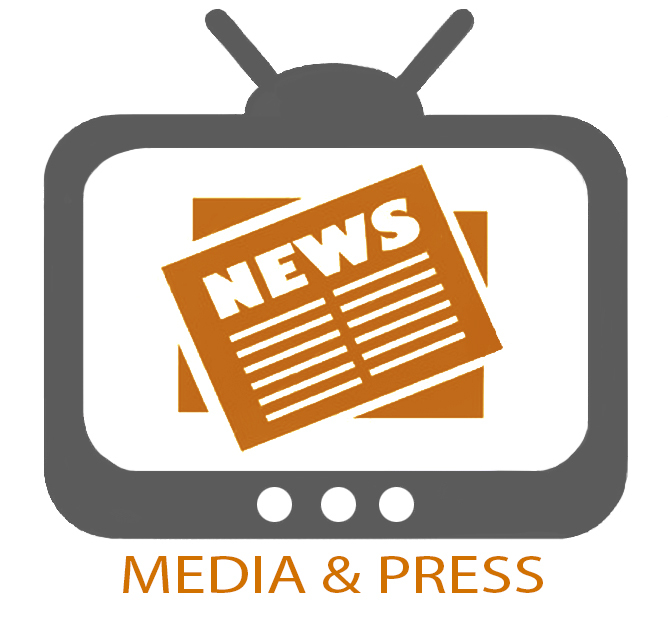 It received a lot of media attention and was very well received by the public. 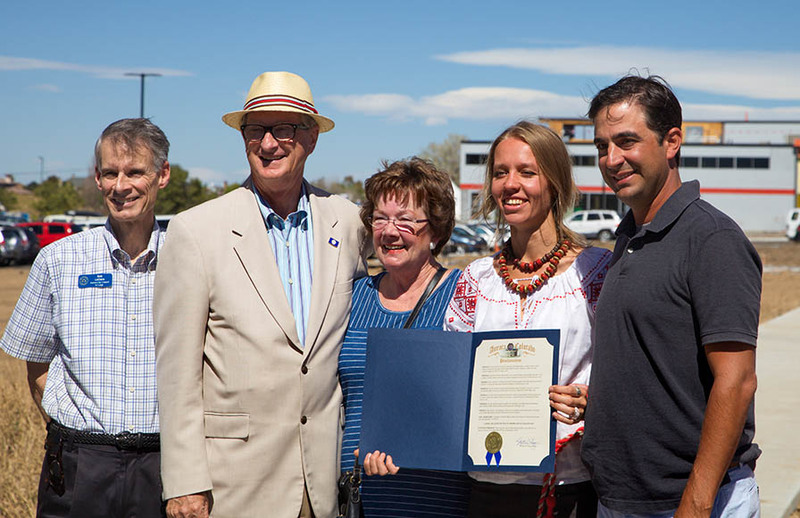 After the mural was finished I received a Mayoral Proclamation from Aurora’s mayor Hogan.